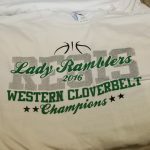 The Regis Girls Basketball 2016 Western Cloverbelt Conference Champion t-shirts will be available for sale each day until Friday, February 19 during lunch hours at Regis Middle and High School! T-shirts are $10 each. Available sizes include S, M, L, XL and XXL. 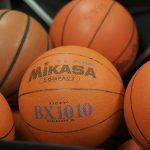 Monday, February 15 | 7:30 p.m. Regis Girls Basketball vs. Hayward | Regis Gym Friday, February 19 | 7:30 p.m. Regis Boys Basketball vs. Thorp | Regis Gym Come cheer on our basketball teams! 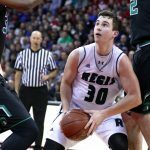 Regis Catholic Schools families can request a pass for FREE ADMISSION to both of these games. Go to one…or both! 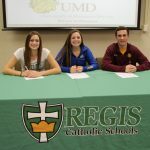 On November 11, 2015, three Regis High School athletes signed their National Letters of Intent to play at the college level. 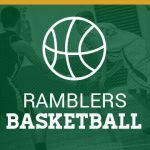 Shae Brey (Basketball) is headed to Butler University, Kayla Neff (Track & Field) will attend South Dakota State University and Logan Rohrscheib (Basketball) has committed to the University of Minnesota Duluth. Congratulations! 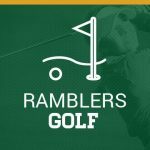 Several area girls golfers were announced as Golf Coaches Association of Wisconsin academic all-state honorees for maintaining GPAs of at least 3.25, participating in at least 75 percent of varsity matches and being sophomores or older. 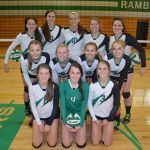 Earning academic honors at Regis High School were Grace Gobler, Megan Pokrandt, Katie Wallace and Julia Szepieniec. 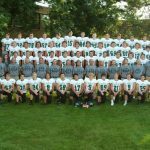 The Regis Football team finished the 2015 season 8-3 and placed 3rd in the Cloverbelt Conference. 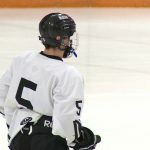 In the Division 6 playoffs, the team beat Chetek-Weyerhauser and lost to Grantsburg. Coach Brenner says he enjoyed working with this great group of players!